Greetings, Citizens of The Printerverse, and thank you SGIA for inviting me to share some thoughts with your members and readers. Before we get to that, let's rewind a bit to set the mood. If you have seen my face at an event, on LinkedIn or other social media channels for the last nine years, it has been through my work at Print Media Centr. Prior to that, however, I was a print buyer for over 25 years at ad agencies and in-house brands and corporations in NYC. In 2008 I was looking for work. I had contacted everyone I knew, but the recession was in full swing and jobs in advertising print production were like unicorns. My circle needed to be extended to find an opportunity. When LinkedIn opened "Groups" around this time, the idea came to me to bring people who may know of advertising job opportunities to one place. I launched "Print Production Professionals" in 2009 with a simple description: "Welcome Print Buyers, Printers, Designers, Art Directors, Traffic, Print Production, Art Buyers, Creative Services Managers and HR professionals that serve this group." The print buyers and designers jumped in first. I started some conversations about ad agency life we could all relate to. Then, people started asking questions, actual real questions: "How can I do this? Where can I do this? Does anyone know what this is? I have this problem - how can I solve it?" With peer-to-peer help and recommendations and requests for service providers being shared out in the open, the group had grown to 500 people in a few months. The members were telling their connections about the group as a resource for information and help, and inviting them to join and participate. The printers were also telling their connections and soon after the industry manufacturers and suppliers started flocking in. This is when everything changed. The group had grown to 5,000 people. That's 5,000 people who all needed each other to do their jobs. Unintentionally, I found myself sitting between them not as a barrier, but as a connection point. I started to help people make those connections and as a result, very unexpected doors started opening for me on the industry side of things, and my life as the self- proclaimed Intergalactic Ambassador to The Printerverse began. That was a very top-level overview of my origin story. An enormous amount of time and effort went into the development of relationships, partnerships, networking and, of course, helping people. It still does. The group now has more than 95,000 members and it's the largest independent online print group in the world. The doors that open now are quite significant, and the years I spent developing relationships and partnerships allow me to serve the community in unique ways. 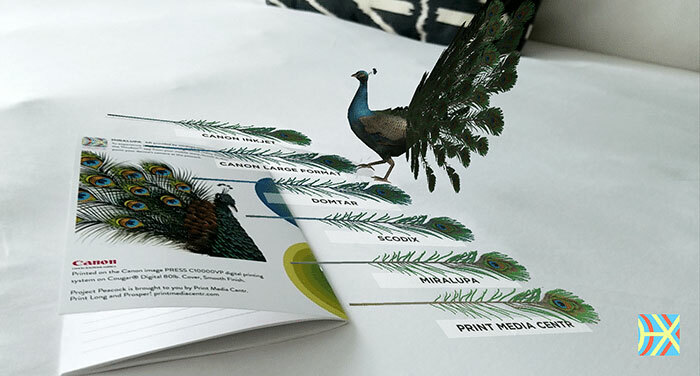 One of those ways is through Project Peacock, a traveling digital print show-and- tell I have been bringing to the conference rooms of ad agencies, brands and in-house marketing departments since 2017 with my partners Canon Solutions America, Domtar, Scodix and an augmented reality company called Miralupa. I started Project Peacock because - from my vantage point - I clearly saw the huge disconnect between the print technology available out in the world, and what was being utilized by these professional print customers. I saw they needed direct information - not tied to a sale - to learn about the advancements in print, paper, substrates and ink. They needed to understand how that fits together so they could make more effective and efficient purchasing and execution decisions. My intergalactic travels had brought me to demo centers, global events and gatherings. It was quite evident to me that the industry was great at talking to itself but had stopped talking to the print customers, leaving that relationship to the paper companies who have always been there, and the printers. Having the print buying background gave me a unique perspective here. I realized the print customers were now technologically bound to their printers who they had fostered relationships with, and because of that, they were not aware of the new print technology available to them - unless their printer had it. After visiting with more than 600 buyers, creatives and marketers in New York City, Chicago, San Francisco, Austin and Boston; watching their reaction to print samples executed on digital, inkjet and wide-format presses; and fielding their requests for vendors to help execute, I realized the problem was bigger than just a lack of technological knowledge. There had been a foundational relationship shift driven by the recession that made the printers sales zombies. The customers are consistently under solicitation attack. To protect themselves from being eaten alive, they have closed their doors, voicemails and emails and avoided face- to-face meetings with printers and other service providers. Even if a printer has a great new technology, the chances of that information getting to potential print customers in any meaningful way through a "cold-call" manner is going to be a significant, but not impossible, challenge. It will require a new way to look at things. What service providers claim sets them apart typically gets lumped into price, quality and service. I have never met a printer who doesn't claim to have the best of all three. Neither have the thousands and thousands of buyers out there under solicitation attack. To stand out from the mess, printers need to repackage what they do. I'm calling it "Print Product Engineering." This isn't a new concept, but it was before its time when it was first introduced. Bigger printers were able to be in this space and experiment. A few were very successful. Gary Peeling from the United Kingdom is a great example. Look him up. A few McGyver-esque printers have created print products, made their way into the Shark Tank and struck deals. These examples are on the top end of the spectrum, but the rationale for their creation is universal: Productizing print offerings takes printers out of the commodity game. To bring it back to reality, let's take real estate as an example. Don't sell yard signs at x quantity for x price. That can be bid out. Create and market "New Listing" packages that contain every printed item a realtor needs during the selling process. Give them a quick way to order, and keep it templated so minimal information updates beyond images and address are required. Use every print technology under your roof and outsource to use new technology you may not yet have if needed to make that package expandable with add-on options. Using that concept, look at your current professional customers and all they do during the year with you, and find out or guess what they are doing elsewhere. Now, figure out how to make that work in a package, with package pricing. You may need to develop several packages to serve all their needs. For consumers, look at your "menu" of services and start moving the most popular ones from a-la-carte to combo platters. Give these combo-platters user- friendly names. 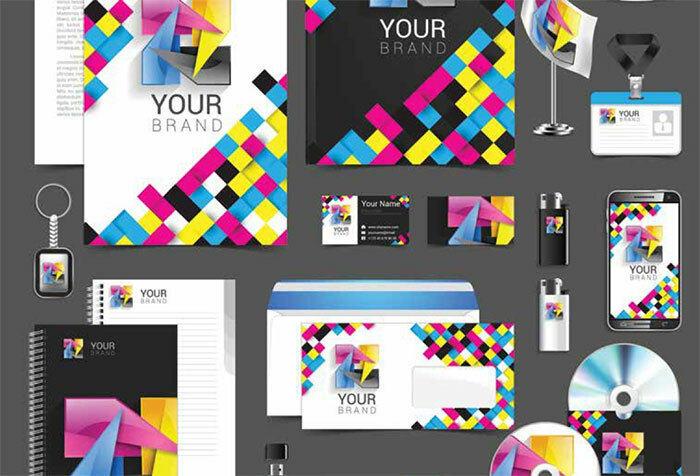 A 'Make an Impression' package with multiple, relevant printed components versus x amount of business cards for x dollars. Which is more enticing to a job seeker? During Project Peacock, one thing has been consistent at every visit. Attendees are blown away by the advances in wide- format. From where I sit, the biggest door and conversation opener is through this technology. But when it comes to sales, don't harp on the technology. Create packages that highlight the print applications possible with that technology first. As customers become interested in the applications, invite them over to see everything the press can do - not to discuss how it works! Some customers may have interest in speeds and feeds - let them ask. The bigger point here is that they are talking to you and interested in your offerings. Additionally, competitors are going to have a difficult time "apples- to-apples" pricing and coordinating the execution and delivery of multiple materials as easily as you can, since you created the package. I realized that Project Peacock had outgrown its current iteration and I am developing an educational video series called "Project Peacock Peeks" to show off applications to print customers and the technology that created the applications to printers. The videos will launch on Print Media Centr before the end of the year. Project Peacock Print Fair will make its debut in 2019. I am taking my show-and-tell out of the conference room and bringing it into the ballroom with companies that want to share the cool applications that can be made with their presses, paper, finishing, marketing technology and relevant software/collaboration platforms for print customers. 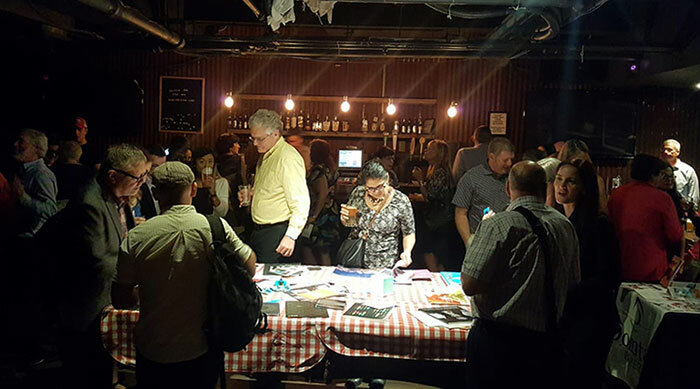 Project Peacock Print Fair will be open to printers to attend, learn about new technology and, of course, network with the print buying elite. SGIA - in partnership with NAPCO Media - transforms the SGIA Expo into PRINTING United in 2019. 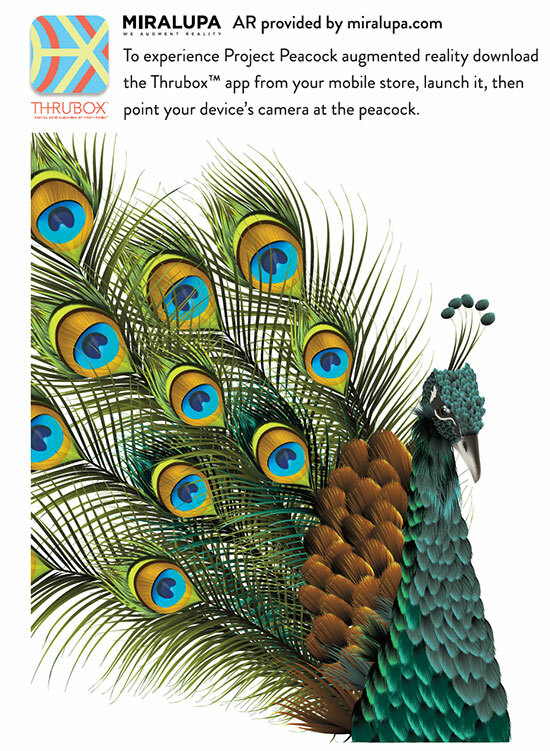 Along with Project Peacock, I have no doubt that direct education and engagement with brands and print customers will drive dollars to printers. It's now your job to get prepared and package your print offerings for profits in 2019. Deborah Corn is the Intergalactic Ambassador to The Printerverse at Print Media Centr, a Print Buyerologist(tm), integrated marketer, industry speaker and blogger, cultivator of the Print Production Professionals Group on LinkedIn, and host of the weekly industry #PrintChat on Twitter. She has more than 25 years of experience working in advertising and marketing print production, and currently works behind the scenes with printers helping them form meaningful relationships with customers and prospects across all channels. She also works with industry suppliers and organizations, helping them achieve success with their social media marketing endeavors.